Answers to your UPC barcode questions. For help using our software visit the technical support page. 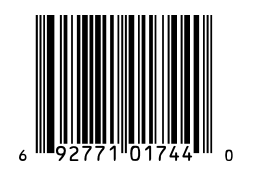 What are UPC barcodes used for? What are the specifications and/or standards for UPC barcodes? What is a UPC font? What is a UPC 'company prefix'? What is the UPC character set? What is the UPC check digit? What's the difference between UPC-A and UPC-E? How do I make a UPC barcode? How do I calculate a UPC check digit? How do I make a UPC barcode in a design program? How do I make a UPC barcode in Access? How do I make a UPC barcode in Crystal Reports? How do I make a UPC barcode in Excel? 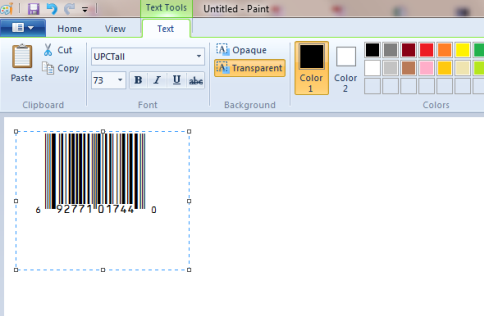 How do I make a UPC barcode in Word? How do I make a UPC barcode in a program not listed above? How do I print a UPC barcode? How do I purchase UPC software? UPC barcodes can't be made 'by hand': you'll need barcode software, or UPC barcode functionality in a larger program, to create one. Our UPCTools software lets you make UPC barcodes in two ways: one at a time using the UPCTools barcode wizard, or in batches of tens, hundreds or thousands by calling the software within your database, spreadsheet, or other application. Either method lets you create high-quality UPC symbols without having to worry about the start and stop bars or the character set. We do it all for you. The UPC check digit involves an unusual algorithm called a 'modulo 10'. The easiest way to figure out an UPC check digit is to let software do it for you, or use our free Excel spreadsheet, though it is possible to work it through on paper. Want to give it a try on your own? Grab a calculator! Our example barcode data is 69277198116. Add the digits in the even-numbered positions (second, fourth, sixth, etc.). Now what single digit number makes the total a multiple of 10? That’s the check digit. In your design program, create a blank text field where you want the barcode to be. Open the UPCTools barcode wizard and create your barcode. If the pasted data looks like a string of scrambled text, highlight the entire string and use the program's font menu to format it into a UPC barcode font. Size the barcode by highlighting it then increasing or decreasing the point size. Make sure that the font color is true black (#000000). Don't use font adjustments like bold, italic, smooth, etc. Embed all fonts and save/print your project at highest quality. Remember that you can't simply type your data into a barcode font; barcodes must be created in a barcode wizard, or using our code for Excel, Crystal Reports, etc. Open the sample Access database that comes with UPCTools. You can create your database inside this sample by inserting your own data and saving under a new file name. Use the custom functions that comes with UPCTools to build barcodes into your report. You'll find a full list of our custom functions available for free download here. If you're not familar with using custom functions we've created PDF instructions to walk you through the process. Remember that you can't simply type your data into a barcode font; barcodes must be created in a barcode wizard, or using our code for Excel, Crystal Reports, etc. 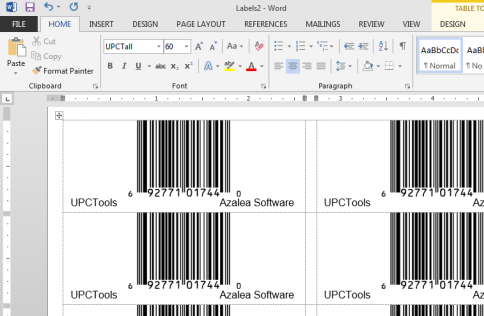 Use the custom Excel macros that come with UPCTools to make UPC barcodes in your spreadsheet. If you're not familar with copying macros into Excel, we've created PDF instructions to walk you through the process. Remember that you can't simply type your data into a barcode font; barcodes must be created in a barcode wizard, or using our code for Excel, Crystal Reports, etc. 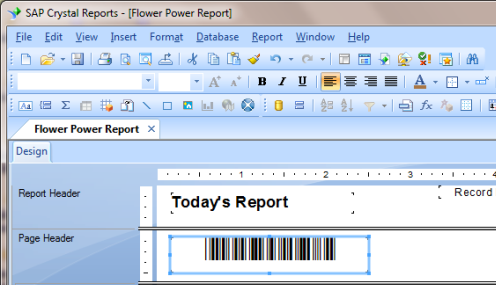 Create a blank text field in your Word document where you want the barcode to be. Use the UPCTools barcode wizard to create your barcode. If the pasted data looks like a string of scrambled text, highlight the entire string and use your document's font menu to format it into an UPC barcode font. Size the barcode by highlighting it then increasing or decreasing the point size. Make sure that the font color is true black. Don't use font adjustments like bold, italic, etc. You're ready to print or save. Use an Excel spreadsheet to manage and store your data, then create barcodes in that spreadsheet using our Excel macros. Save and close the spreadsheet before the next steps. Design your label/document/design/package template in Word. Word comes preloaded with hundreds of label, mailing and design templates: you should find one that suits your needs. If not, you can create your own. Use the 'Mailings' option in Word to import the barcodes that you created in your Excel spreadsheet. Word's step-by-step Mail Merge wizard is incredibly helpful, and will walk you through the importing process. If the imported data looks like strings of scrambled text, use your document's font menu to format the barcode sections into an UPC barcode font. Size the barcodes by increasing or decreasing the point size. 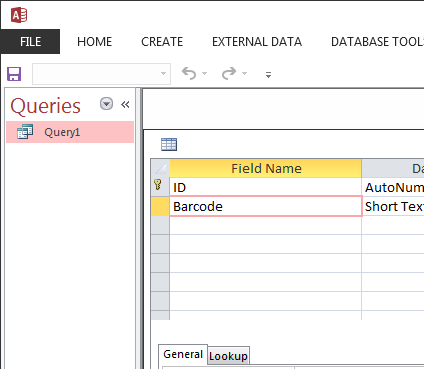 Create a blank text field in your application where you want the barcode to be. If the pasted data looks like a string of scrambled text, highlight the entire string and use your applications's font menu to format it into a UPC barcode font. Size the barcode by highlighting it then increasing or decreasing the point size. Make sure that the font color is true black. Don't use font adjustments like bold, italic, smooth, etc. Make sure your barcodes are formatted in pure black, on a white background. If your design requires a barcode in color, choose the very darkest font color you can, on the very lightest background. The lower the contrast between the barcode (dark) and background (light), the greater the chance of the printed barcode not scanning. 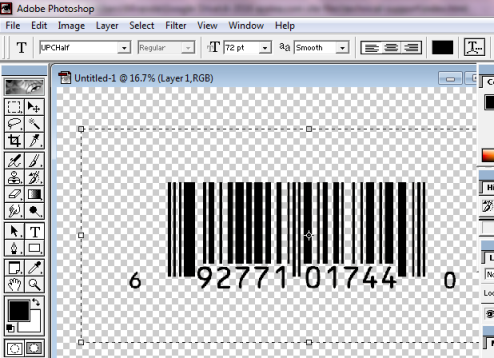 Make sure there is a clear white (or very light) border all the way around your barcode. Set your printer settings to highest- or photo-quality. If you have a dpi (dots per inch) option, choose at least 600dpi. If you're running a large print batch that makes highest-quality printing impractical, experiment with quality options and printing speed until you find the highest quality printed output/an acceptable print speed that produces consistently scannable barcodes. Print to a laserjet or inkjet printer. Read more about printer requirements on our tech support page here. You can purchase UPCTools directly through the product web page; after payment you'll be directed to a software download page. If you prefer to order via purchase order or Azalea order form you'll find complete ordering info here.